We're thinking BIG! 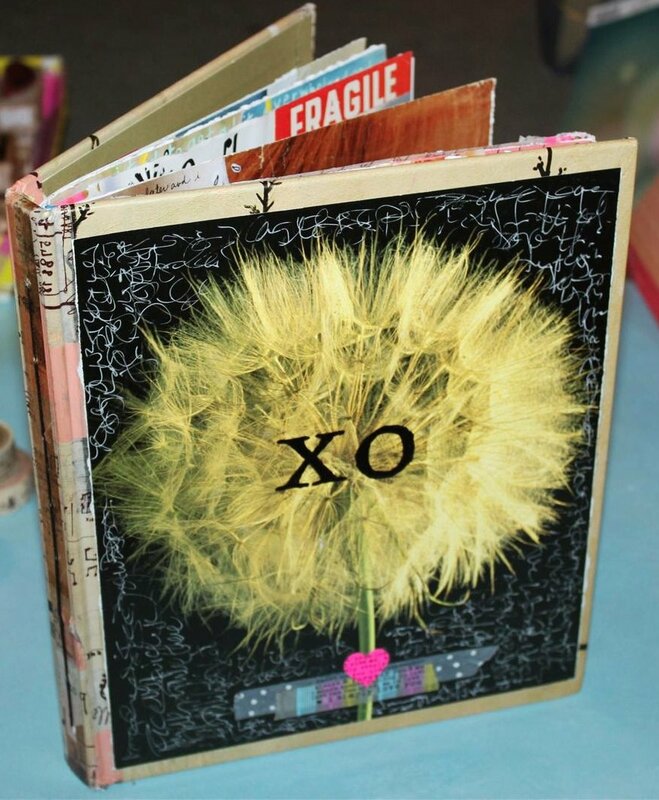 Start by constructing a large journal from scratch using a recycled hardcover book. 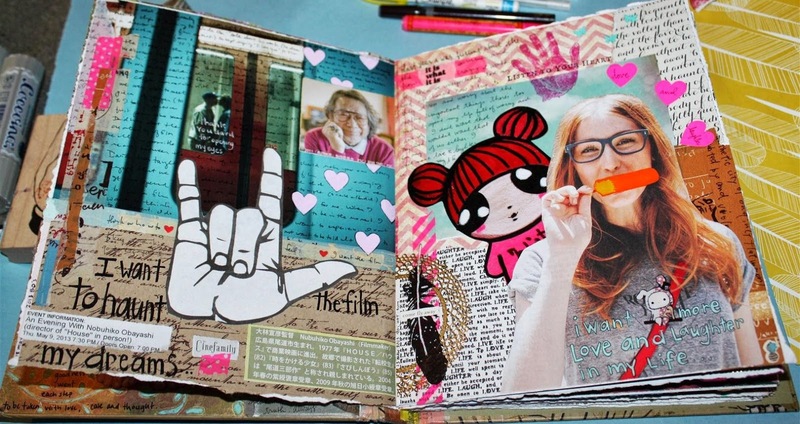 Then we'll spend the rest of the class creating our own unique, personal pages. Learn about color, composition, design and more while focusing on visual self-expression on the pages of your new journal. Prepare to push and be pushed (abeit gently and in a good way!) out of your comfort zone. We will be using a variety of different size and shaped images in this class so you can collect some of your favorites in advance, but I'll also have a large plethora of collage items for you to choose from. You will walk out of class with your head full of new ideas, along with your new artist book!